As kids, one of the first things we learn from our parents is to share: to share our dolls, toy cars and Legos with our siblings, to share our favorite snack with friends, even to share time on the playground swing set with a stranger’s child. Then, as soon as we can speak we are taught to tell the truth. And when we enter school we are told not to cheat on tests, and even if we succumb to the temptation (I did a few times) we know in our hearts that it is wrong. In sports, we learn that an unfair advantage, such as steroid use, is unacceptable, and that everyone should have the same opportunity at winning the gold. 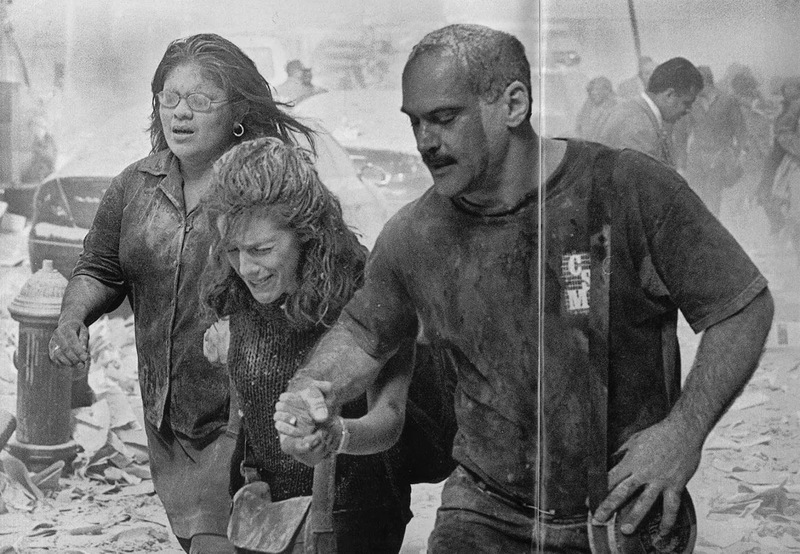 And as I think about 9/11, its eleventh anniversary upon us, I remember the way that the people of New York—of our nation—came together, helped out their fellow man, the strong pulling the weak out from under the rubble when they couldn’t get out by themselves. What’s so different today? I wonder. Where did these core values, these basic premises of human decency get so blurred, so skewed, so completely forgotten by some, by those so eager to get ahead that they'll stomp on the backs of everyone else along the way, never once looking back to lend a helping hand? I ask myself the same question over and over and over. Readers sometimes comment on my blog, noting the theme of how it takes an entire village to raise a child. They understand that I find strength in friends and neighbors who sometimes help me with the burden of caring for my disabled boy. I’m better for it, and my friends tell me that they are too. I can see in their eyes the great reward in knowing they are helping me out. And they don’t have to; most have children of their own to rear, stresses of their own to face, problems to solve, desires to sate. But no matter who we are, we each have a gift—something special to offer. What a shame if we kept those gifts to ourselves, tucked them away into little boxes and shoved them under our pillow or to the back of a drawer for safe keeping. Since Calvin’s epilepsy diagnosis over seven years ago, one of my greatest rewards has become helping other families whose children have just been diagnosed with epilepsy, Down syndrome or other debilitating neurological conditions. Through Calvin, I have learned that I, too, have a gift. I want to share it with the world. And what an amazing world this could be if each and every one of us shared a bit of what we have—whatever that might be—with others. If only we could think of this wonderful melting pot of a nation as our precious village, one in which we look out for each other, help each other out, lift each other up. I imagine Bedford Falls, the town depicted in Frank Capra’s film It’s a Wonderful Life where—because of one humble, honest, hard-working, self-sacrificing man—others who’d had a difficult start in life, who were down on their luck, could get a leg up. And those recipients in turn contributed and enriched the community with their talent, hard work, brotherhood, generosity, gratitude, hope, compassion and the jewel of a different perspective. I think back to April 2012, to the time when Michael was away for over three weeks and Calvin was at his all-time worst behavior, screaming much of the time, not eating, yanking my hair and flailing wildly in his high chair. I couldn’t be sure of the source because he can’t tell me, but I blame his anticonvulsant drugs (and now I know it to be true.) In Michael’s absence, my dear friend, Akiko, flew up from New York to help me for a long weekend. On the heels of her departure my sister, Caron, came all the way from San Diego and stayed eight days. She watered the plants, vacuumed the house, dusted the furniture, washed loads of laundry, fed Calvin, changed his diapers, walked around with him, made me laugh and very simply liberated me. On each of the other weekend days after my sister left, different girlfriends came to help me take care of Calvin for an hour, or so, so that I could get some chores done and to give my shoulders, back and psyche a break. And, there is no doubt in my mind that if I had asked any one of my neighbors the same, they’d have done it too. Camaraderie and support: that’s where it’s at: the reaping of the many rewards that bearing the load together brings, of being responsible to each other and for each other. So, how the heck do these ideals gets lost on some people? I can only imagine that when one hides something away for fear of losing it, it’s easy to forget that it’s even there to give.